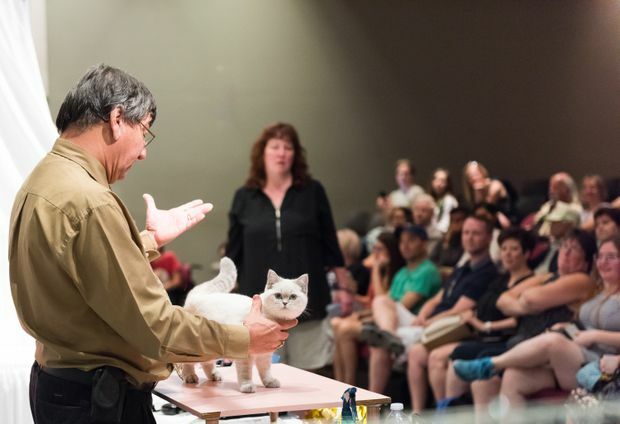 Catwalk: Tales from the Cat Show Circuit is truly hilarious and utterly adorable. In this documentary, nobody on the cat-show circuit takes it too seriously. Cats. Don’t get me started. For years, my late cat Mick ran the joint. An admirably cheerful chap, he greeted the start of each day with high excitement: “Hello world, it’s me. Mick!” He also liked a bath, an unusual trait. Put him in the sink, soap him up, rinse him down and dry him off. Not a bother on him. I used to think that the sight of a damp Mick wrapped in a bath towel would cheer anyone up. Even Rex Murphy. Or Stephen Harper. Cat people get a bad rap. When Rita made an appearance in this column during the recent Olympics, there was mail sneering at the notion of living with a cat! People’s inability to tell joshing from a faithful account of actual events is indeed well illustrated by the communications revolution that is the internet. That’s a fact. Also established as a fact is the universal popularity of cat videos, another endowment of the communications revolution that is the internet. Catwalk: Tales from the Cat Show Circuit (coming Sunday on CBC Docs POV, 9 p.m.) is up there with the best cat videos ever made. In fact, it might be the greatest. It’s truly hilarious, and utterly adorable. And it would be erroneous to think of this lovely documentary as a sort-of Best in Show for the cat-loving world. Best In Show worked as a funny mockumentary because people on the dog-show circuit take the whole thing very seriously. There’s a grave solemnity to it that veers toward pomposity. Nobody on the cat-show circuit chronicled in this program takes it too seriously. In contrast, it’s all laughter and good humour. Kim and her cat, Bobby (a white Turkish Angora), from the documentary Catwalk. Made by Michael McNamara and Aaron Hancox of Markham Street Films, Catwalk is mainly about the competition between two “cat fanciers,” Shirley and Kim, and their felines, Oh La La (a fluffy Red Persian) and Bobby (a white Turkish Angora). Both Shirley and Kim know that this is all a lark. There’s a lot of laughter going on, as the two traipse around Canada hoping to accumulate enough points to make their kitty No. 1 in Canada. 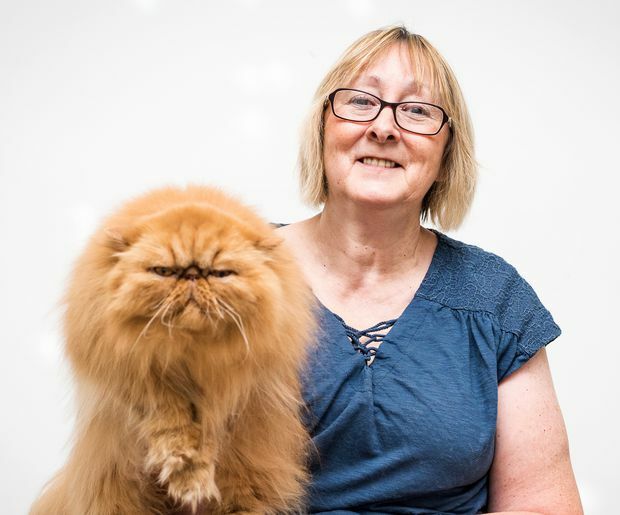 Shirley and her cat, Oh La La, a fluffy Red Persian. Not that it isn’t drama, too. By heavens, what happened in Moncton, N.B., was gripping. A mix-up with the Lions Community Centre there meant that a wrestling show was booked for the time the cat fanciers were supposed to be setting up the cat show. Also, the weather was fierce, flights were cancelled and travel was difficult. Would this be an opportunity for Bobby to gain valuable points, if Shirley failed to turn up with Oh La La? You’ll have to watch to find out the conclusion to that twisted tale. We also meet Bob and Elaine Gleason, a husband and wife cat-show judging team. They explain the rules. 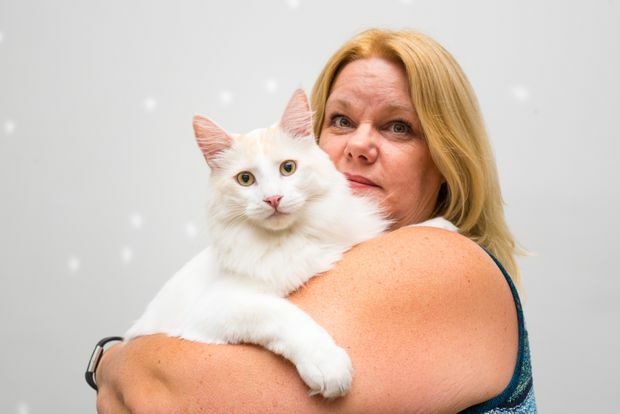 The main question, apparently, when they assess a cat, is asking, “Do you look like your breed?” In countless cities and towns across Canada, they ask this question. Naturally, there are more than the two adversarial cats featured. Kim’s other cat, Shamus, is a charmer. A TV addict, his owner says of him, “Shamus is like a grandmother with soap operas.” The feline-agility competition at one of the cat shows is another highlight. There’s a reason why cats were never really part of the Stupid Pet Tricks phenomenon that David Letterman launched back in the day. Getting a kitty to concentrate on doing a trick is about as impossible as getting Conservative Leader Andrew Scheer to explain what he’s for and against. Catwalk, which recently had a theatrical run in Toronto, to acclaim, is the most delightful TV show of the week. It celebrates cats but also the silliness of competition, and the (human) characters involved are fully aware of how silly the adversarial set-up is. But the cats are the true stars. Yes, there is a kind-of grudge match going on as points are won and lost and the viewer can choose one cat over another. But, in the end, the cats are just frolicking. They can’t really be manipulated or told what to do. Don’t get me started.